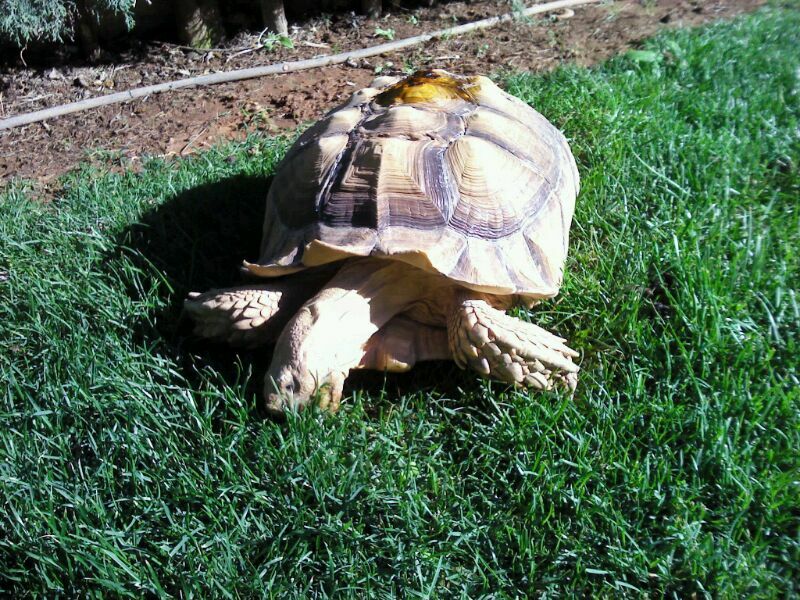 I’ve got a G. sulcata since I was 18 years old. He’s on my hometown in Valencia. Now he’s 6 years old and weights more than 20kg. 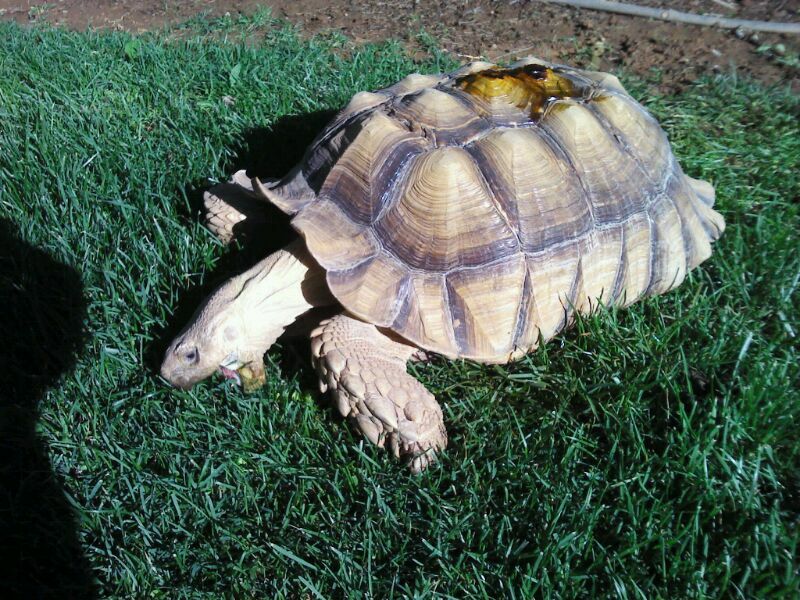 Lives outside, eating grass and taking sun, like terrestrial tortoises must be taken care. In Winter he is used to use a dog wooden house which has an infrared spot on lamp to be able to heat himself properly, as they are not warm blood animals and being from Africa they are not used to make hibernation. This entry was posted in Animals that I share part of my life with ;) on 28 March, 2013 by Josep Duato Botam.